An up-close visit with a Longhorn or bison can be humbling. The animals’ large chestnut-brown eyes reveal a complex blend of wild animal and domesticated stock. It’s hard to know whether they’re plotting an aggressive charge or happily anticipating a bucket of feed. These iconic creatures still roam the Lone Star State thanks to efforts by legendary Texans nearly 100 years ago. Now, some Longhorns and bison are protected as legislatively designated official state herds, ensuring future generations of Texans will get to experience these noble beasts. 850 Caprock Canyons State Park Road in Quitaque, is home to the Official State of Texas Bison Herd. In September, the park hosts its annual Bison Fest in downtown Quitaque, featuring live country music and an arts and crafts fair. Proceeds benefit the bison herd. 1701 US 283 in Albany, is home to part of the Official State of Texas Longhorn Herd. March through October, the site offers a Horns and Tales Longhorn Program at 2 p.m. Saturdays. 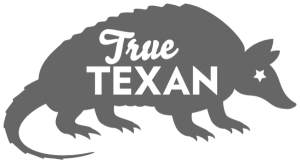 The site also offers the program by appointment throughout the year. The Official State of Texas Longhorn Herd resides at Fort Griffin State Historic Site, about 15 miles north of Albany, where you can get nose-to-nose with the cattle (through a fence) and learn how folklorist J. Frank Dobie helped preserve the breed in the 1920s. The Official State of Texas Bison Herd lives at Caprock Canyons State Park in Quitaque, southeast of Amarillo. Roaming freely throughout the park, the bison are descendants of those saved from hunters by Charles and Mary Ann Goodnight in the late 1800s. 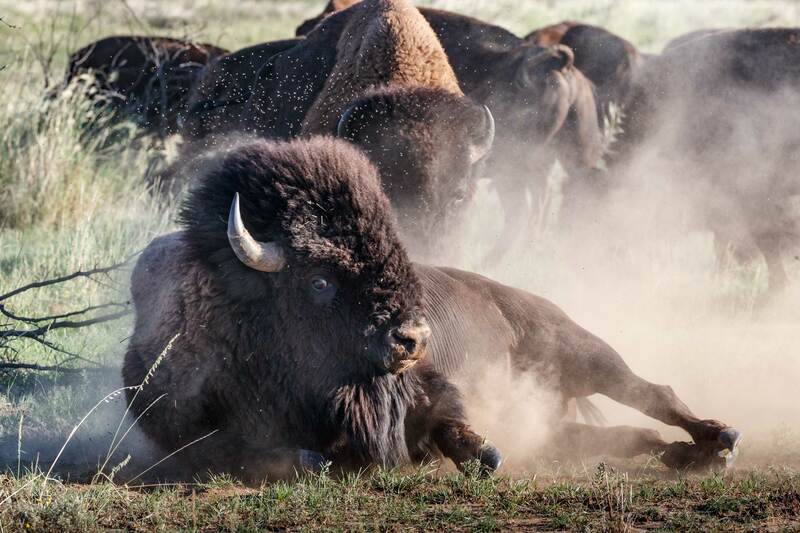 The Official State of Texas Bison Herd resides at Caprock Canyons State Park. Fort Griffin became the Longhorns’ permanent home in 1948, and though smaller numbers of the official herd reside at state parks in San Angelo, Copper Breaks, Palo Duro Canyon, and Johnson City, Herd Manager Will Cradduck can’t imagine them living anywhere else. 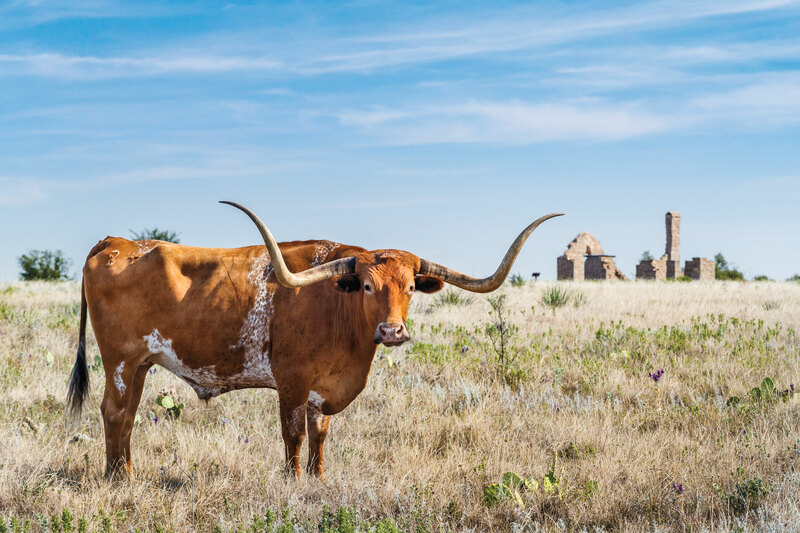 This part of the state—the aptly named Big Country—provides the cattle with room to roam on rolling hills among the mesquite and oak trees, not far from the preserved ruins of a 19th-century frontier cavalry post. Texas Longhorns originated from Spanish cattle. Christopher Columbus first brought them to North America around 1500 to Santo Domingo Island (now the Dominican Republic); they were later introduced to the mainland as Spanish missionaries and pioneers settled in present-day southern Texas and northern Mexico. Cradduck says the bulls were imposing creatures capable of fighting a bear, which the Spanish would occasionally arrange as a spectator sport and wagering event. 6 million cattle from the wilds of South Texas for trail drives to northern markets. By the late 1800s, the Longhorn era was coming to a close. The advent of barbed-wire property lines impeded trail drives, and railroads made herding animals across vast distances obsolete. Decades later, several prominent Texans—including Dobie, an author and folklorist, and Sid Richardson, a Fort Worth oil man—recognized the Longhorns’ fading significance. Working with a range inspector named Graves Peeler, they began scouring ranches in Texas and northern Mexico to find authentic Longhorns remaining from the cattle-drive era. There are around 200 mature Longhorns in the state’s official herd, with about 100 calves raised annually. The animals live about 20 to 25 years, and mature bulls can grow to 1,300 pounds or heavier. A cow, which weighs about 700 pounds, can have as many as 18 calves in her lifetime. Cradduck says the main misconception about Longhorns is that they’re aggressive or unintelligent. They’re smarter than other cattle breeds, he says, but they can be stubborn. About 200 miles to the northwest at Caprock Canyons State Park, the state’s official bison herd numbers around 200 and has added about 45 calves this year, a number that grows annually. Their crescent-shaped horns emerge from plush brown heads, almost inviting you to reach out and pet them. Resist the temptation. The southern plains bison herd dropped to 32 animals before a breeding program rebuilt it. 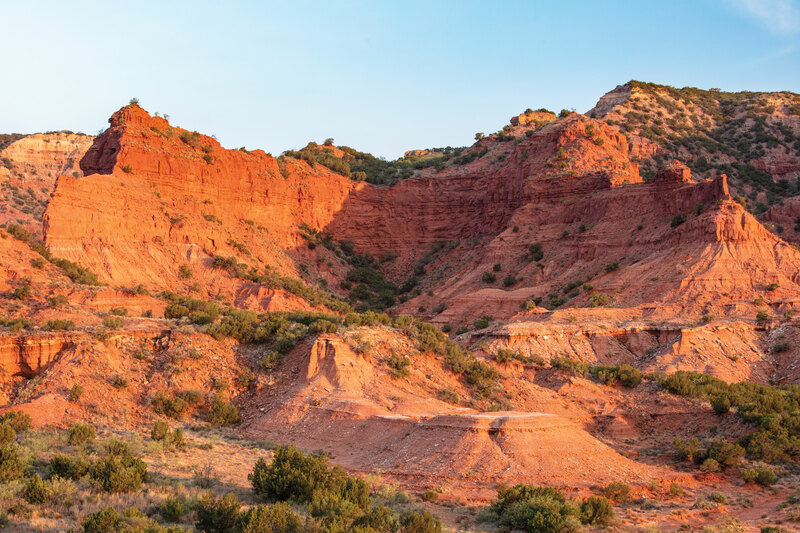 Beard says the herd has driven an increase in visitors to the remote park, which offers a picturesque natural habitat along the Caprock Escarpment’s rugged red sandstone canyon walls. 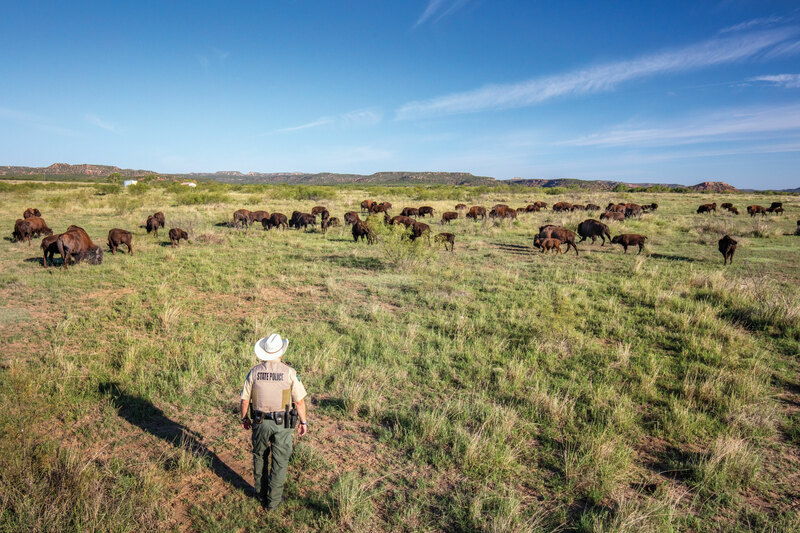 When the bison made their free-ranging debut in 2011, Caprock Canyons averaged 36,000 visitors annually; in 2017, nearly 110,000 entered the gates. Bison have been in the area for at least 10,000 years, although the ancient variety were twice the size of today’s animals and brandished horns spanning 7 feet. For hundreds of years, bison co-existed with native groups—Apache, Kiowa, and Comanche depended on them for food, clothing, and shelter—by using the surrounding Caprock Escarpment as protection from harsh weather and enemies. Everything changed when American hunters flooded the Great Southern Plains in the mid-1870s. The completion of the transcontinental railroad allowed daily shipment of hundreds of hides to Eastern markets. Within a few years, the hunters had slaughtered almost all of the bison. By 1878, at the urging of his wife, Goodnight gathered a group of bison from the Caprock Canyons area and preserved them on the JA Ranch, the sprawling Panhandle cattle operation named for his business partner, Englishman John Adair. Molly (as Mary Ann Goodnight was commonly known) requested the state designate the animals as an official herd in 1914. The movement gained traction in the 1930s in reaction to a local resident’s disturbing proposal to hold “one last bison hunt to finally kill ’em all off for good,” Beard says. Although the herd’s formation was approved, the state Legislature never allocated funding. In the mid 1990s, the Southern Plains bison herd had declined to 32 animals, mostly on JA Ranch. Around that time, the ranch asked the State of Texas to help gather the bison and genetically authenticate their ancestry, which set in motion plans to keep them at Caprock Canyons. To diversify the herd’s offspring, Texas scientists researched connections to the original herd, including several animals at Yellowstone National Park, and found a near-perfect match at a New Mexico ranch owned by media mogul Ted Turner. A decade later, the breeding program proved successful enough to secure the herd’s protection and residence in the Panhandle, a plan envisioned by Molly Goodnight more than a century ago.